HVAC refers to heating, ventilation and air conditioning. It is a technology that ensures a balanced environmental comfort inside the house and a vehicle. It is the most important technology that needs to be deployed while constructing both residential as well as commercial buildings in order to ensure a healthy indoor atmosphere. More so, it is important for everybody to understand and be aware of the nitty gritty of HVAC. 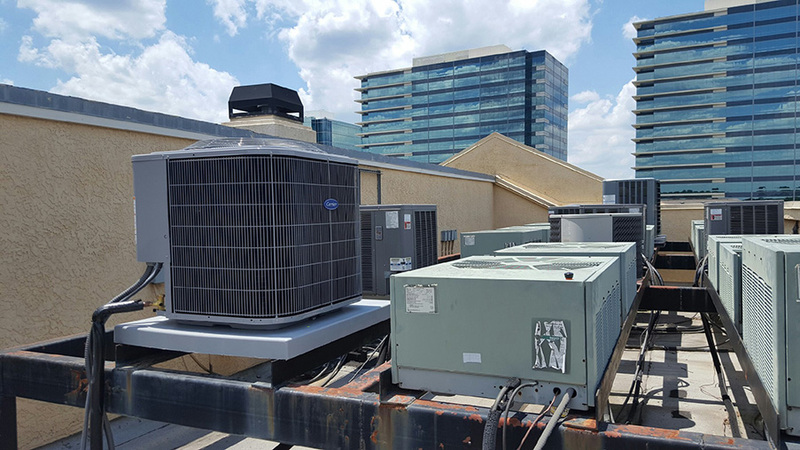 Even if you are a non-technical person, you should essentially know about the impacts of heating, ventilation and air conditioning in buildings and vehicles. It has a major impact on making a particular building or vehicle habitable by regulating the temperature and humidity. The H in HVAC refers to ‘Heating.’ It influences the temperature control inside the house. In many places around the world depending on the weather condition, heaters are used for creating warmth. This is an effective tool for temperature control that is deployed through various heat generating systems such as a boiler, furnace, and heat pumps and transferred through convection, conduction, and radiation. The warmth is created when heated air is distributed through ducts after being filtered through air cleaners. However, if there is no proper way to circulate the indoor air with fresh air from outside, it can create dangerous repercussions such as generation of carbon monoxide, formaldehyde, nitrogen oxide and other combustible byproducts that could prove to be fatal for the inmates and this where ventilation comes into play. The V – stands for ventilation. It ensures proper air circulation. Now ventilation can be both natural and mechanical. Natural ventilation refers to windows and louvers, while mechanical ventilation can be provided by air handler. Some of the very known examples of mechanical ventilation include exhausts, ceiling fans and table fans which help to circulate the air within the house. Lastly, AC refers to Air Conditioner that ensures cooling and humidity control inside the house. These require complete blockage of natural air flow inside the room. For an AC to function properly, the windows need to be sealed. Fresh air comes through the vent thereby maintaining a positive airflow. It is important to survey the whole building before deploying the right HVAC system that will ensure healthy living conditions. Whether the house needs to be centrally air conditioned or centrally heated, whether you need to install mechanical ventilations everything depends on the construction of the building. The degree of machine dependency will be determined on how much the construction has the capacity to control the temperature and airflow through natural means. When we visit very old constructions such as forts and palaces in India, we see rooms that do not even have the provision for ceiling fans. But even when it is scorching outside, you feel comfortable inside the rooms. This is because the construction has been done with an objective of creating natural temperature control and airflow so much so that it does not need a single mechanical device. However, with the rising demands and shrinking space make it almost impossible to provide natural ventilation and temperature control in both commercial and residential buildings. There are, in fact, many buildings or part of buildings that do not even have a window. In that case, an effective HVAC system has to be in place in order to ensure habitable condition for people who live or work there. And this can be achieved by surveying the building properly to zero in on the best HVAC system.